Dozens of lawyers, academics, local Papuan leaders, churches and women’s organizations under the Coalition of Advocates for Truth and Justice in Papua filed an application for a judicial review of the 1969 Law No. 12 on the establishment of the West Irian autonomous province and autonomous regencies in West Irian province at the Constitutional Court on Friday. West Irian was the former name of the Indonesian part of Papua Island. The 1969 law, also known as Pepera, which was the legal basis of Papua’s integration with Indonesia after Dutch colonization, has been considered controversial for more than 60 years. Yan Christian Warinussy, one of lawyers and the coalition’s coordinator, said the coalition filed for the review because there was evidence that the Pepera contradicted the 1962 New York Agreement, which was the basis of the Pepera. "The New York Agreement said all adults in Papua had the right to self-determination and the referendum had to be conducted under international principles of practice," Warinussy said. "The fact was, only 1,025 of 800,000 Papuans voted," he said. He said before the referendum, military operations had compelled Papuans to opt to integrate with Indonesia. "Therefore, we believe that paragraphs 7 and 8 in the law's explanation that the Pepera was a manifestation of the people's aspirations made with full awareness also contradicted Article 28I of the 1945 Constitution, which protects the rights of citizens from torture and guarantees freedom to express one's thoughts and follow their conscience," the coalition said in a release on Friday. He said the idea of challenging the Pepera through a judicial review in a court of law started in 2010. “Many crimes against humanity happened [during the Papua’s integration with Indonesia]. 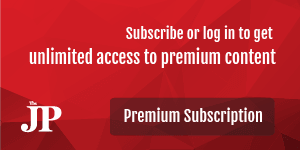 That’s why we want to file a review,” he told the reporters after filing the application. The coalition highlighted that the controversy surrounding the Pepera was at the heart of prolonged conflict in Papua. Laus DC Rumayom, international relations lecturer at state Cendrawasih University, who is also one of the petitioners, said the application was also expected to encourage the public to acknowledge history and democracy in the country. “Conflicts in Papua are not just about mining and illegal logging, but also about history,” he said. Laus said it was the first time Papuans had officially challenged the law. “We hope that [this application] can create public dialogue about the country’s law. Papua is one of regions that are victims of history,” he added. Many prodemocracy activists have long urged the government to conduct a fair referendum after the 1969 vote on independence in which only a handful of locals were allowed to vote. Papua self-determination activists called the referendum a sham. 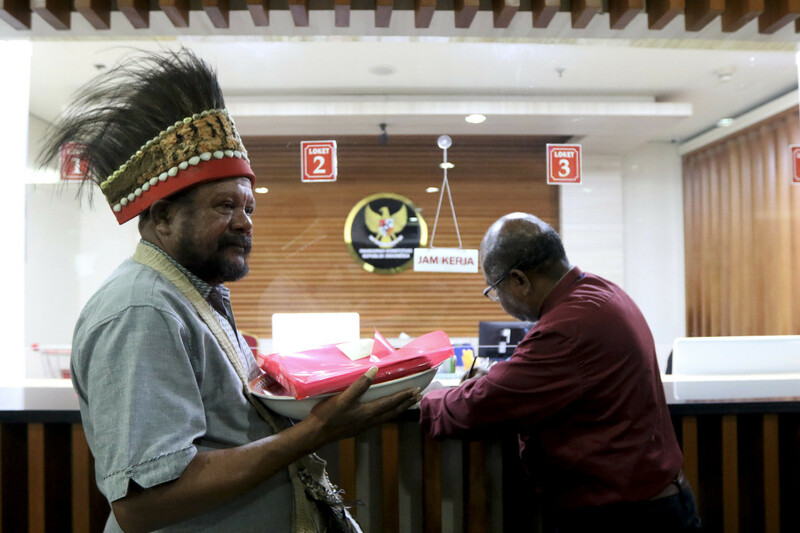 Meanwhile, Yan Pieter Yarangga, the head of the Papua Customary Council and one of the petitioners, expressed gratitude after the coalition filed the application. “We want the government to take this application into consideration,” he said, adding that human rights violations were still happening in Papua despite regulations. The 50th anniversary of the Pepera will be marked in August. A women’s rights activist, Fien Jarangga, a coordinator of the Tiki Community Women’s Network in Papua, said the judicial review was feasible, despite the debate over whether the Pepera was a sham or not. She said the step supported the indigenous Papuan community in its international fight to get its rights upheld. "Papuans have to take a legal avenue in Indonesia to find the loopholes in the Indonesian laws [regarding indigenous Papuan community rights] before we can move onto an international tribunal," she said. Victor Mambor contributed to this report from Jayapura, Papua.